Born in poverty, Andrew Jackson (1767-1845) had become a wealthy Tennessee lawyer and rising young politician by 1812, when war broke out between the United States and Britain. His leadership in that conflict earned Jackson national fame as a military hero, and he would become America’s most influential–and polarizing–political figure during the 1820s and 1830s. After narrowly losing to John Quincy Adams in the contentious 1824 presidential election, Jackson returned four years later to win redemption, soundly defeating Adams and becoming the nation’s seventh president (1829-1837). 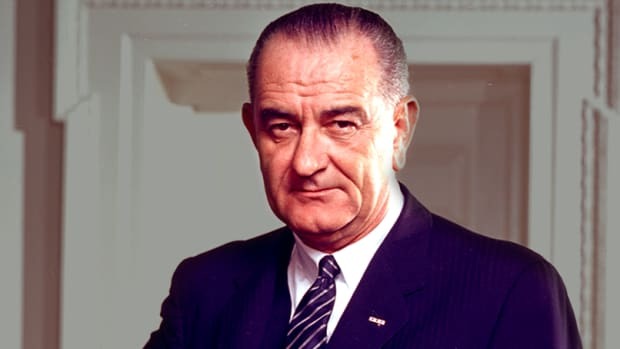 As America’s political party system developed, Jackson became the leader of the new Democratic Party. A supporter of states’ rights and slavery’s extension into the new western territories, he opposed the Whig Party and Congress on polarizing issues such as the Bank of the United States. For some, his legacy is tarnished by his role in the forced relocation of Native American tribes living east of the Mississippi. Andrew Jackson was born on March 15, 1767, in the Waxhaws region on the border of North and South Carolina. The exact location of his birth is uncertain, and both states have claimed him as a native son; Jackson himself maintained he was from South Carolina. The son of Irish immigrants, Jackson received little formal schooling. The British invaded the Carolinas in 1780-1781, and Jackson’s mother and two brothers died during the conflict, leaving him with a lifelong hostility toward Great Britain. Did you know? During their invasion of the western Carolinas in 1780-1781, British soldiers took the young Andrew Jackson prisoner. When Jackson refused to shine one officer&apos;s boots, the officer struck him across the face with a saber, leaving lasting scars. Jackson read law in his late teens and earned admission to the North Carolina bar in 1787. He soon moved west of the Appalachians to the region that would soon become the state of Tennessee, and began working as a prosecuting attorney in the settlement that became Nashville. He later set up his own private practice and met and married Rachel (Donelson) Robards, the daughter of a local colonel. Jackson grew prosperous enough to build a mansion, the Hermitage, near Nashville, and to buy slaves. In 1796, Jackson joined a convention charged with drafting the new Tennessee state constitution and became the first man to be elected to the U.S. House of Representatives from Tennessee. 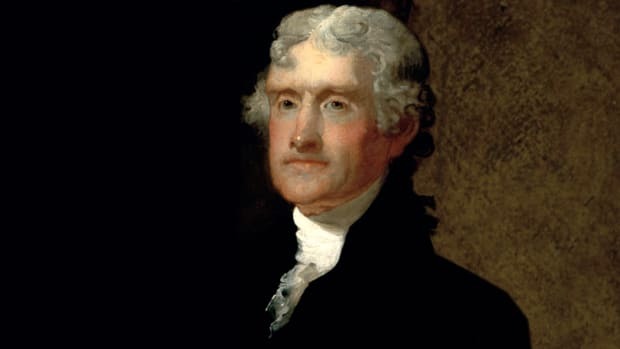 Though he declined to seek reelection and returned home in March 1797, he was almost immediately elected to the U.S. Senate. Jackson resigned a year later and was elected judge of Tennessee’s superior court. He was later chosen to head the state militia, a position he held when war broke out with Great Britain in 1812. Andrew Jackson, who served as a major general in the War of 1812, commanded U.S. forces in a five-month campaign against the Creek Indians, allies of the British. After that campaign ended in a decisive American victory in the Battle of Tohopeka (or Horseshoe Bend) in Alabama in mid-1814, Jackson led American forces to victory over the British in the Battle of New Orleans (January 1815). 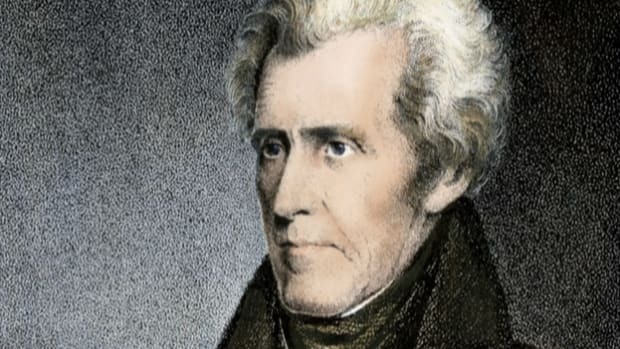 The win, which occurred after the War of 1812 officially ended but before news of the Treaty of Ghent had reached Washington, elevated Jackson to the status of national war hero. In 1817, acting as commander of the army’s southern district, Jackson ordered an invasion of Florida. After his forces captured Spanish posts at St. Mark’s and Pensacola, he claimed the surrounding land for the United States. The Spanish government vehemently protested, and Jackson’s actions sparked a heated debate in Washington. Though many argued for Jackson’s censure, Secretary of State John Quincy Adams defended the general’s actions, and in the end they helped speed the American acquisition of Florida in 1821. 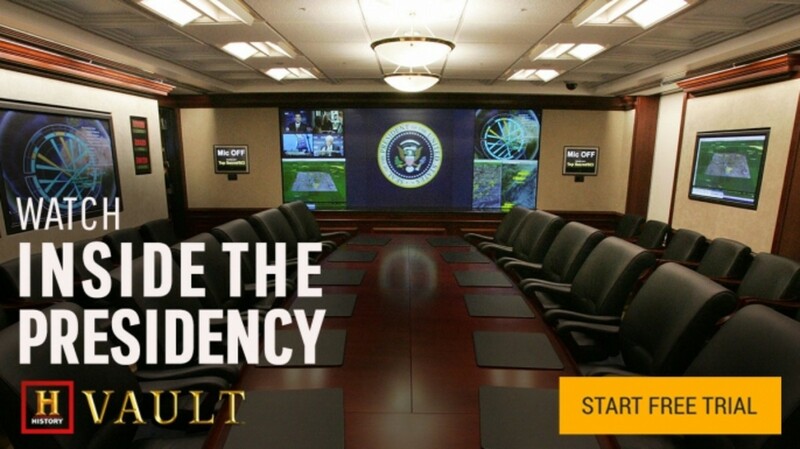 Jackson’s popularity led to suggestions that he run for president. 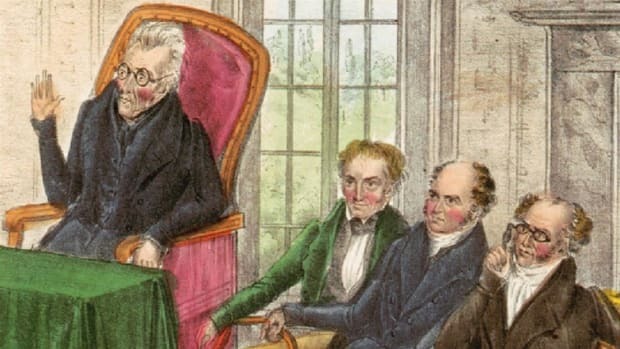 At first he professed no interest in the office, but by 1824 his boosters had rallied enough support to get him a nomination as well as a seat in the U.S. Senate. In a five-way race, Jackson won the popular vote, but for the first time in history no candidate received a majority of electoral votes. The House of Representatives was charged with deciding between the three leading candidates: Jackson, Adams and Secretary of the Treasury William H. Crawford. Critically ill after a stroke, Crawford was essentially out, and Speaker of the House Henry Clay (who had finished fourth) threw his support behind Adams, who later made Clay his secretary of state. 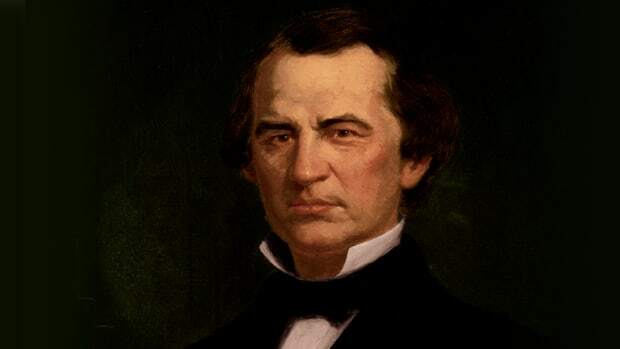 Jackson’s supporters raged against what they called the “corrupt bargain” between Clay and Adams, and Jackson himself resigned from the Senate. Andrew Jackson won redemption four years later in an election that was characterized to an unusual degree by negative personal attacks. Jackson and his wife were accused of adultery on the basis that Rachel had not been legally divorced from her first husband when she married Jackson. Shortly after his victory in 1828, the shy and pious Rachel died at the Hermitage; Jackson apparently believed the negative attacks had hastened her death. 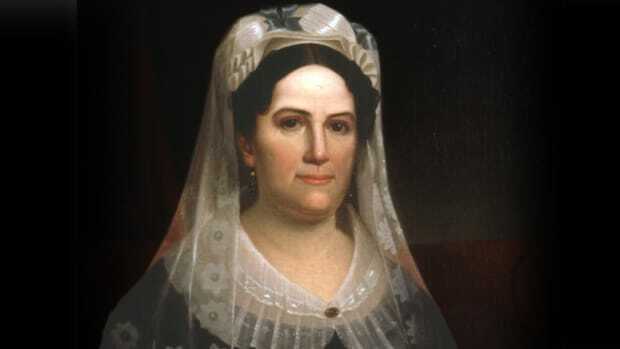 The Jacksons did not have any children but were close to their nephews and nieces, and one niece, Emily Donelson, would serve as Jackson’s hostess in the White House. A major battle between the two emerging political parties involved the Bank of the United States, the charter of which was due to expire in 1832. Andrew Jackson and his supporters opposed the bank, seeing it as a privileged institution and the enemy of the common people; meanwhile, Clay and Webster led the argument in Congress for its recharter. In July, Jackson vetoed the recharter, charging that the bank constituted the “prostration of our Government to the advancement of the few at the expense of the many.” Despite the controversial veto, Jackson won reelection easily over Clay, with more than 56 percent of the popular vote and five times more electoral votes. Though in principle Jackson supported states’ rights, he confronted the issue head-on in his battle against the South Carolina legislature, led by the formidable Senator John C. Calhoun. In 1832, South Carolina adopted a resolution declaring federal tariffs passed in 1828 and 1832 null and void and prohibiting their enforcement within state boundaries. While urging Congress to lower the high tariffs, Jackson sought and obtained the authority to order federal armed forces to South Carolina to enforce federal laws. Violence seemed imminent, but South Carolina backed down, and Jackson earned credit for preserving the Union in its greatest moment of crisis to that date. 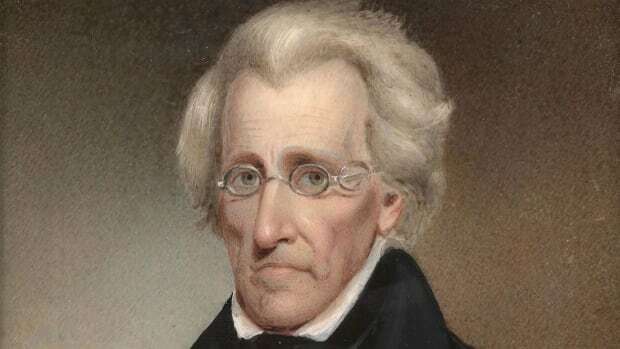 In contrast to his strong stand against South Carolina, Andrew Jackson took no action after Georgia claimed millions of acres of land that had been guaranteed to the Cherokee Indians under federal law, and he declined to enforce a U.S. Supreme Court ruling that Georgia had no authority over Native American tribal lands. In 1835, the Cherokees signed a treaty giving up their land in exchange for territory west of Arkansas, where in 1838 some 15,000 would head on foot along the so-called Trail of Tears. The relocation resulted in the deaths of thousands. In the 1836 election, Jackson’s chosen successor Martin Van Buren defeated Whig candidate William Henry Harrison, and Old Hickory left the White House even more popular than when he had entered it. 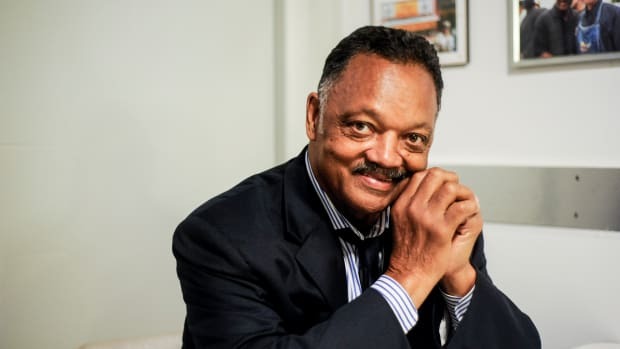 Jackson’s success seemed to have vindicated the still-new democratic experiment, and his supporters had built a well-organized Democratic Party that would become a formidable force in American politics. After leaving office, Jackson retired to the Hermitage, where he died in June 1845.